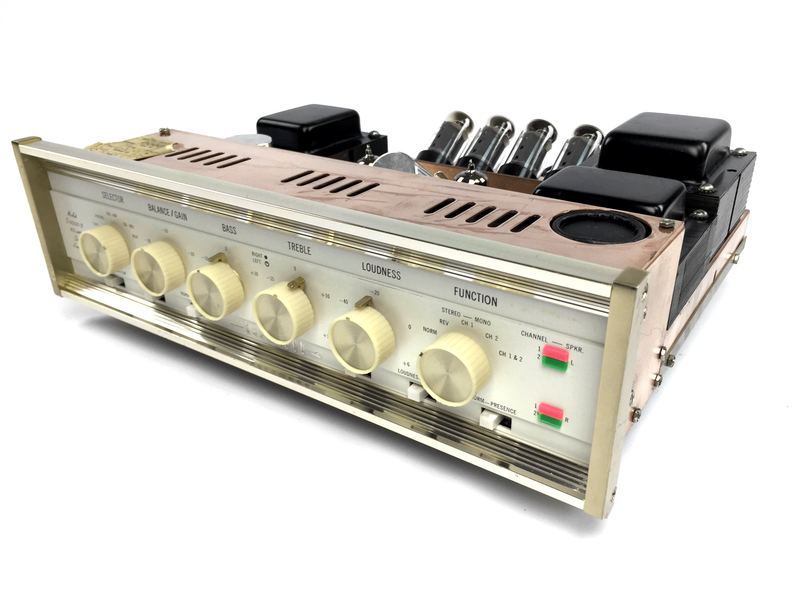 This Gold-Level restored Sherwood S-5000 II is an amazing example of American made tube technology of an era long gone. 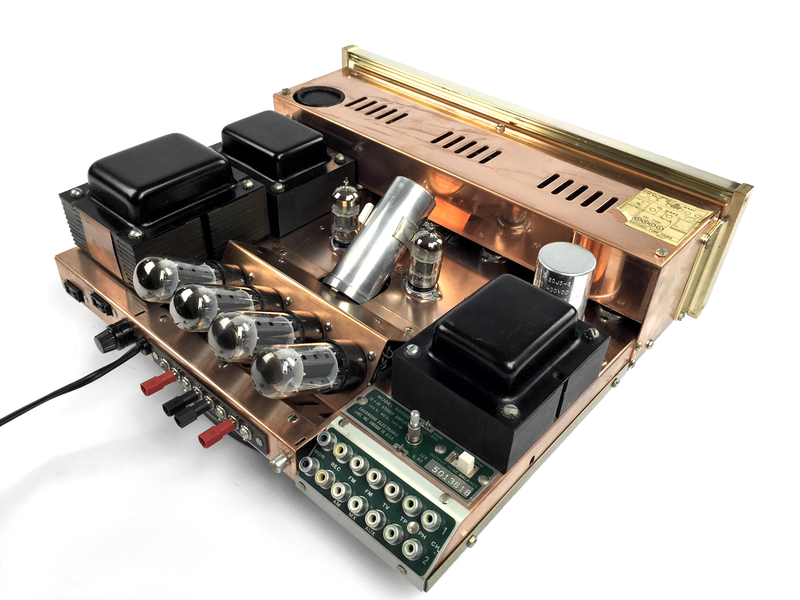 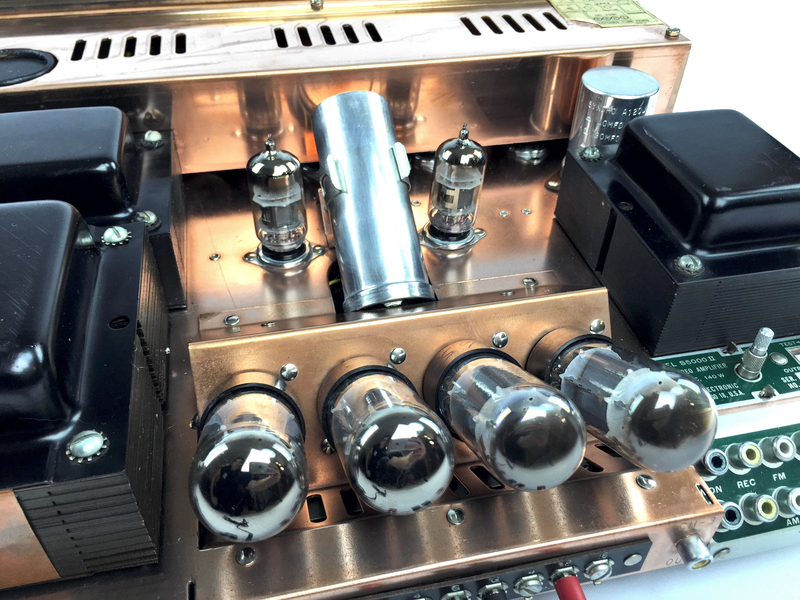 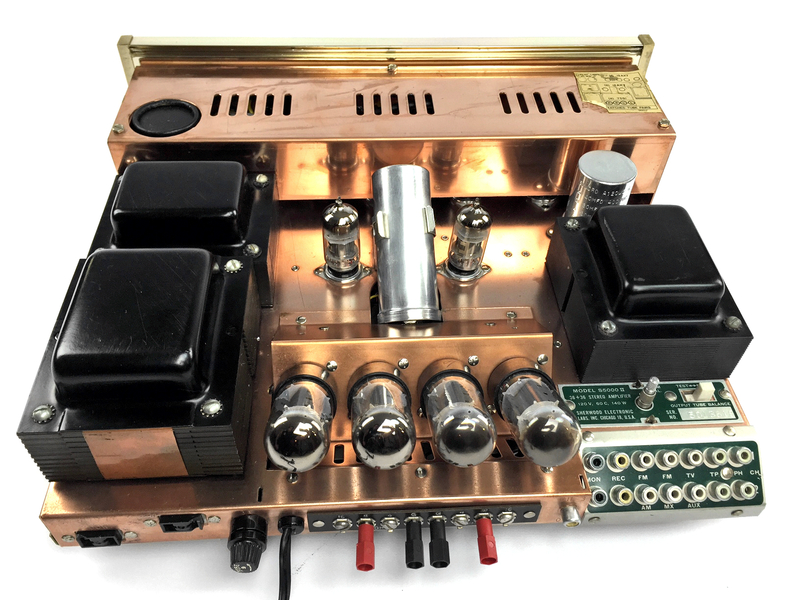 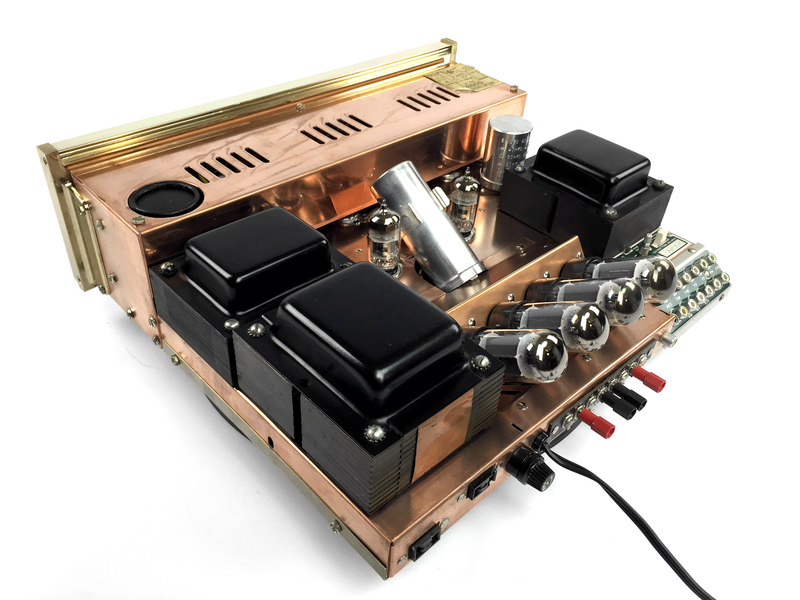 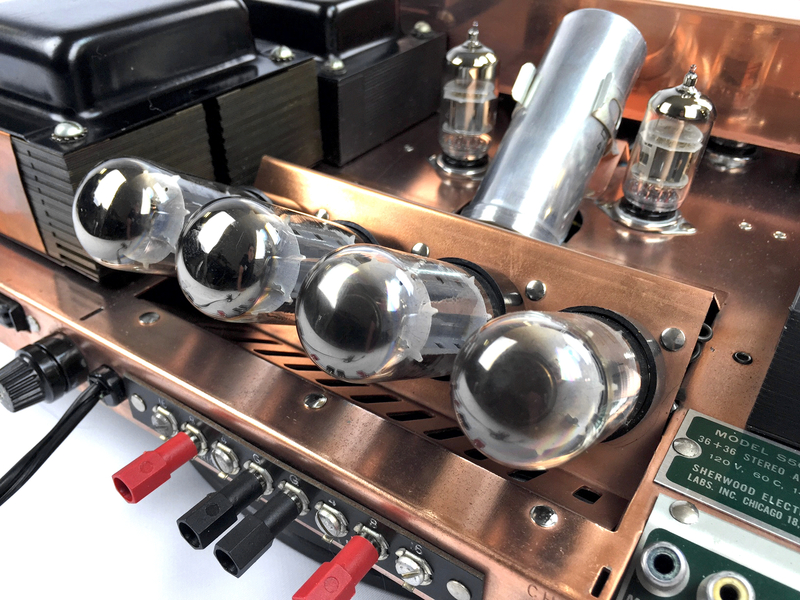 A beautiful copper plated chassis with elegant and unique tube layout, make this Sherwood a must have. 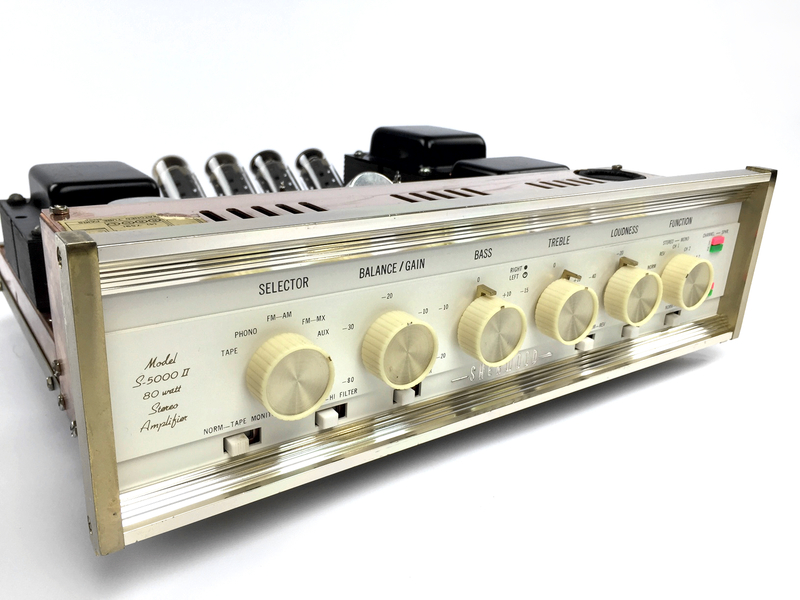 Not only a sculptural masterpiece, this particular S-5000II will impress even the most stringent critic with its beautiful and accurate ability to reproduce music. 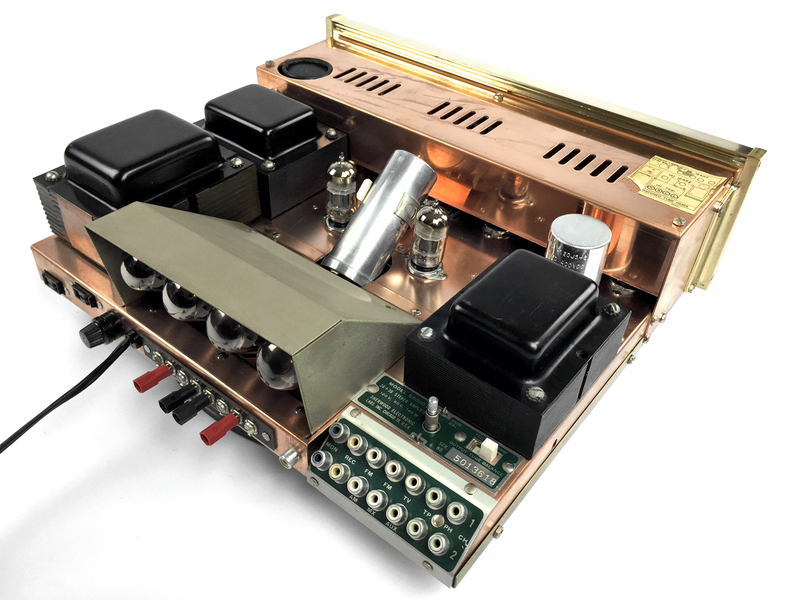 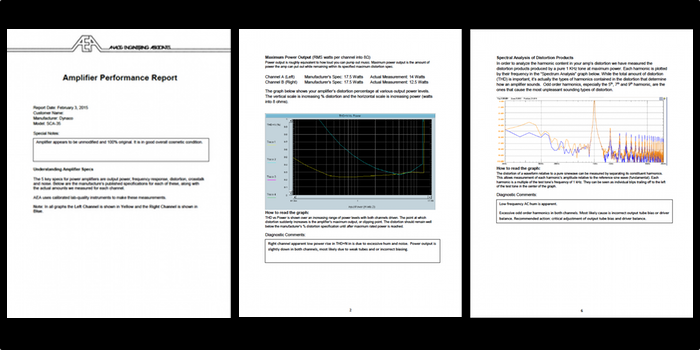 Driver balance and output tube bias circuit critically aligned on our spectrum analyzer to produce the best harmonic content. 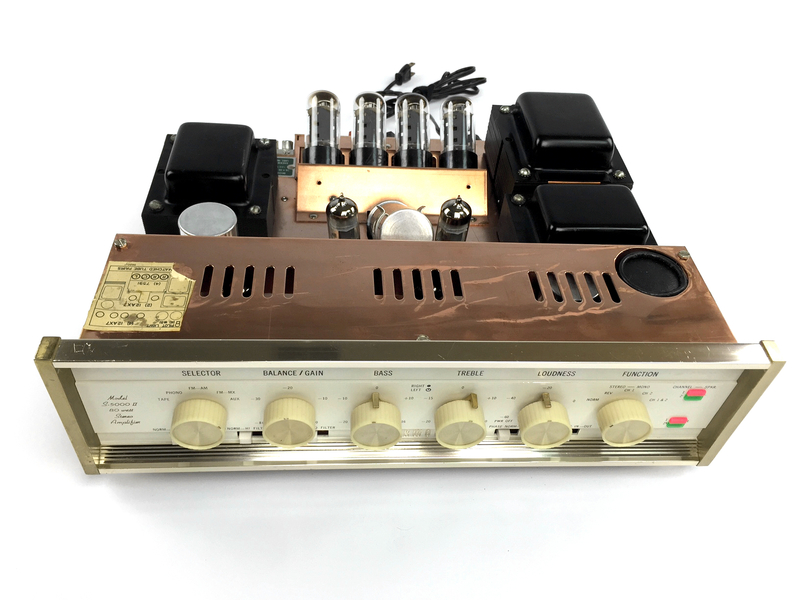 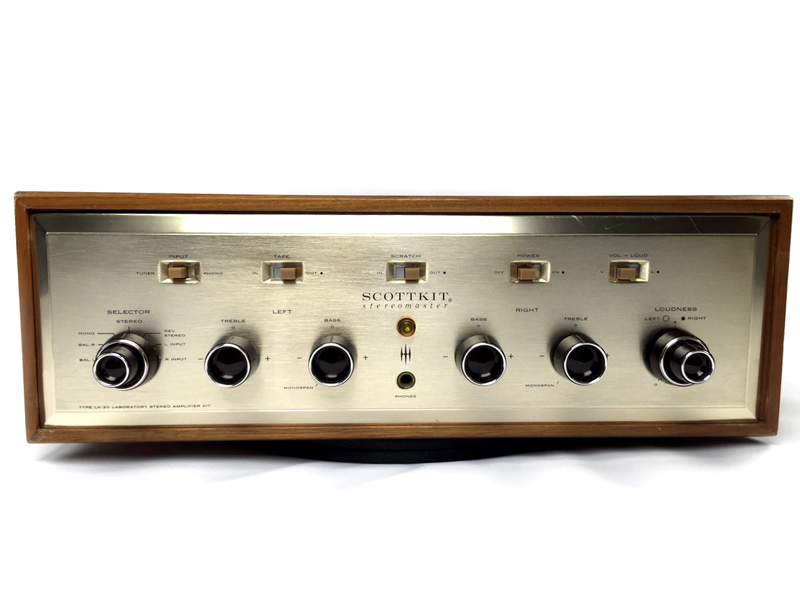 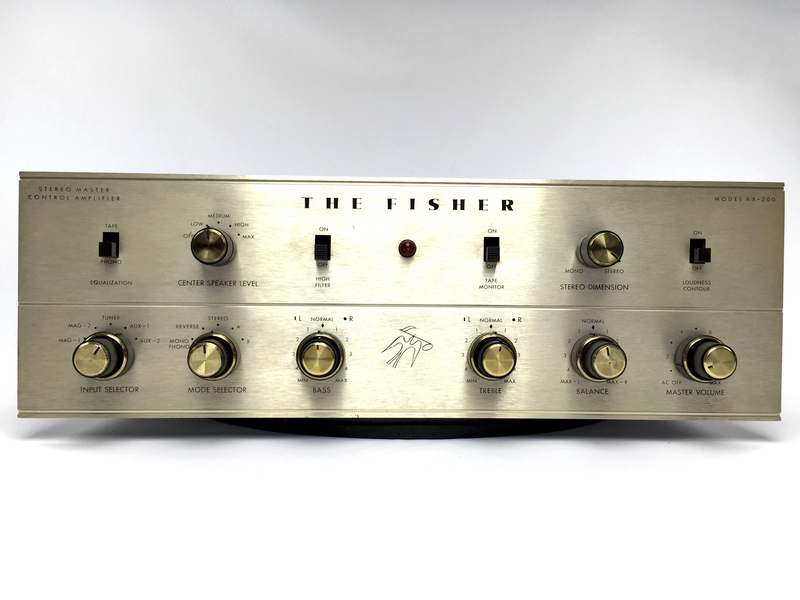 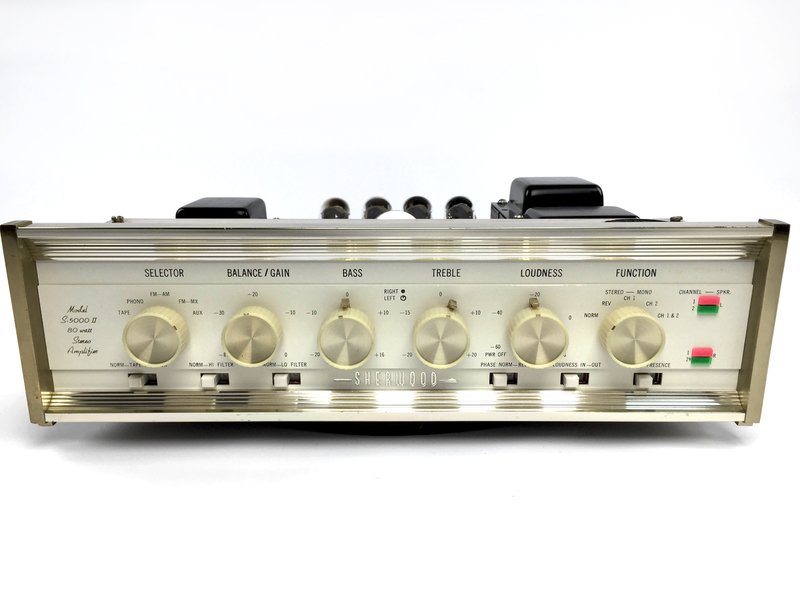 As a Gold Level restoration, this amp is backed by AEA’s 14 day money-back satisfaction guarantee, plus our Gold Level 6 month no-cost maintenance warranty.